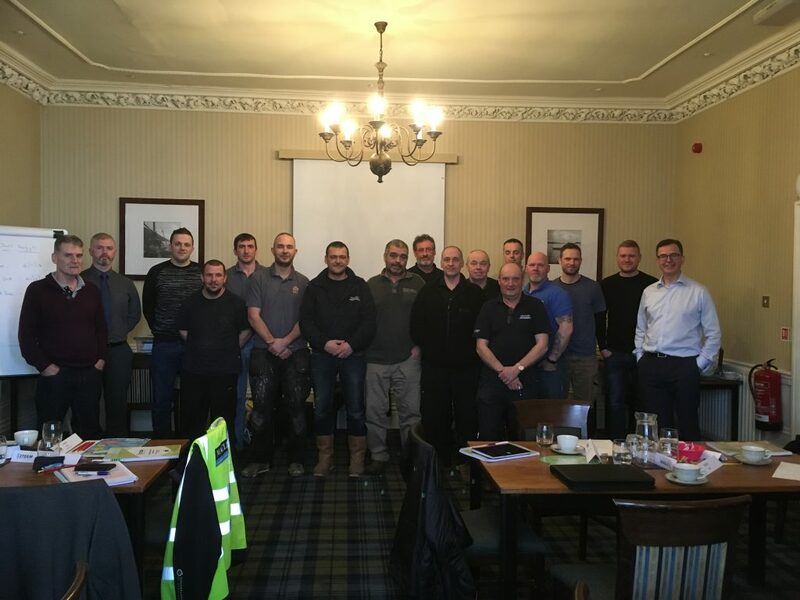 We are ending the week on a high as our first SVQ3 programme in Argyll comes to a successful end. A great milestone for Esteem and for our candidates who have achieved their SVQ3 qualification and CSCS Gold Card. At the end of last year we welcomed 19 candidates onto our first modern apprenticeship programme in Argyll. They came for a variety of different companies including D.A MacDonald, David Rutherford, MacLeod Construction Ltd, Neil McGougan Ltd, Oban Joinery Services Ltd, SAMS and William Martin Decorators Ltd.
Over the past few months it has been fantastic to get to know our candidates and help them work towards achieving there SVQ Level 3. They have been a fantastic group and discussions at workshops have been very insightful with all sharing experiences and learning from each other. At the final workshop we ask candidates for feedback as we continually want to ensure that we are offering an excellent training programme. We are thrilled that the candidates enjoyed the programme and found the content discussed at workshops key to their development. I found the course really helpful and feel it will help me a lot in the future. Course has been helpful and enjoyable. At Esteem we want to help as many construction companies in Scotland benefit from our fully Funded, developmental, SVQs. With this, please get in touch with Andy on 0766 658 083 if you have any training requirements. We would love to help you release your team’s potential and equip them with a recognised construction qualification.